SAN FRANCISCO, California, November 12, 2012 (ENS) – U.S. energy regulators have approved a legal agreement between California and a New Jersey utility that will bring more than $100 million in electric vehicle charging infrastructure to the state. Under the settlement agreement, at least 200 public fast-charging stations and the infrastructure for 10,000 plug-in units at 1,000 locations will be built across California. The Federal Energy Regulatory Commission approved the settlement between the California Public Utilities Commission and a subsidiary of Princeton, New Jersey-based NRG Energy Inc.
“We thank FERC for its approval of the settlement, which will bring electric vehicle infrastructure to California and open the market to many electric vehicle stakeholders,” said California Public Utilities Commission President Michael Peevey. “We can now look forward to the opening of the stations and getting more electric vehicles on the road,” said Peevey. The settlement, originally announced on March 23, 2012, by Governor Jerry Brown, resolves 10-year-old claims against subsidiaries of Dynegy Inc., a subsidiary of NRG Energy Inc., for costs of long-term power contracts signed in March 2001. Dynegy previously paid $280 million in settlement of claims arising out of Dynegy’s spot market sales during the 2000-2001 California electricity crisis. Under the settlement just approved by the Federal Energy Regulatory Commission, NRG will pay to install a minimum of 200 fast charging Freedom Stations that will be available for use by anyone with an electric vehicle for a minimum five year period, credit card swiping capability, and reasonable rates. Freedom Stations will be placed in four general areas – 110 in the Los Angeles Basin; 55 in the San Francisco Bay Area; 15 in the San Joaquin Valley; and 20 in San Diego County. The first Freedom Stations will be available in early 2013. 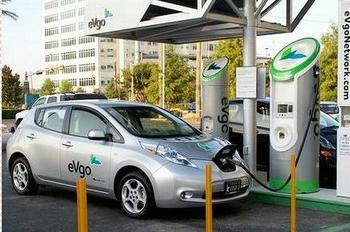 NRG will install its proprietary brand of eVgo (ee-vee-go) Freedom Stations. Their DC Fast Chargers can provide a 50-mile charge in as little as 15 minutes. They also offer a standard Level 2 commercial charger. As part of the agreement, NRG will facilitate EV ownership for Californians who live in apartment buildings and other multi-unit housing complexes and for Californians hoping to commute to work in an electric vehicle through its “make ready” commitment. This means eVgo will install the wiring, or “make readies” for at least 10,000 individual charging stations located at offices, multifamily communities, schools and hospitals. Over time the “make readies” will support the installation of Level 1 and Level 2 chargers from all charging companies. To meet the California Public Utilities Commission’s goal of ensuring that the electric vehicle charging infrastructure is available to Californians of all income levels, NRG will install at least 20 percent of the fast charging stations in low income areas and ensure that mixed-income housing locations are identified, evaluated, and pursued for the individual charging station make readies. NRG also will spend $5 million in collaboration with researchers and stakeholders on technology demonstration projects that will test new charging and related technologies. The utility will also invest $4 million, in consultation with The Greenlining Institute, the California Plug-In Electric Vehicle Collaborative and other key stakeholders, to support low income car-sharing, workforce training, and related opportunity programs. ECOtality, Inc., another company in the electric vehicle charging station industry, went to court to fight the settlement but lost. 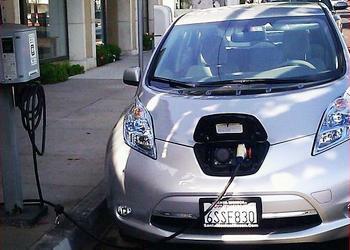 ECOtality alleged that the agreement, which was intended to settle NRG’s role in overcharging California energy ratepayers $940 million during the 2000-2001 energy crisis, instead rewards NRG by requiring only that the company spend $102.5 million on its own electric vehicle charging station business. ECOtality also complained that the California Public Utilities Commission intervened outside of its authority in the private marketplace by endorsing one of multiple competitors, and by so doing handed NRG a monopoly over the EV charging market in California. The settlement agreement requires only a $20 million payment to the Public Utilities Commission, which amounts to roughly two percent of the overcharges, and that NRG invest $102.5 million in establishing 1,200 electric vehicle charging stations in California.